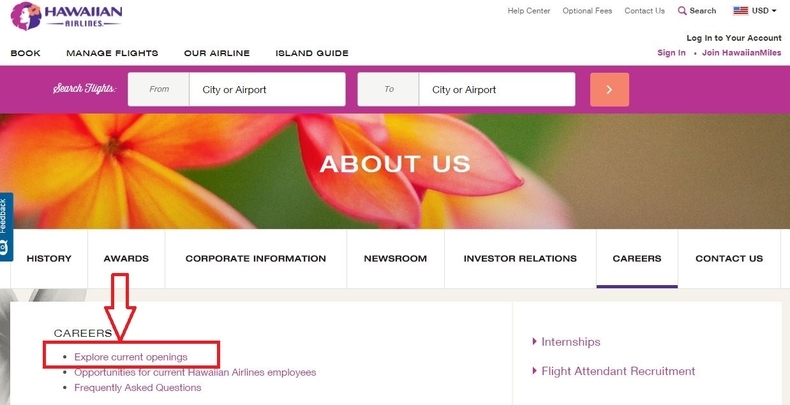 Enter Hawaiian Airlines careers page at hawaiianairlines.com/careers and click "Explore current openings" to check job vacancies. You may browse all the jobs displayed to choose an ideal one or you may also search jobs by clicking "Search open jobs" on the right side. 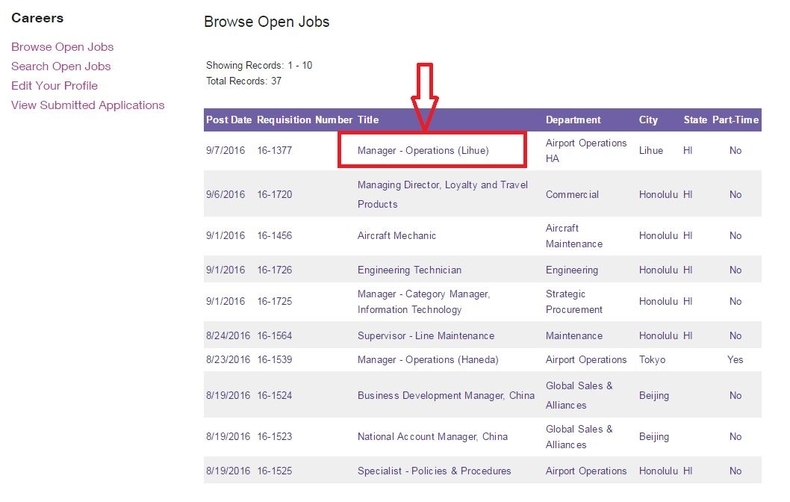 Let's take the first one on the job list "Manager- operations" as an example to guide you through the whole online application process. Please read the details of the position you choose. Learn about the requirements and qualifications to help you decide whether you're qualified for the job or not. Once you've made up your mind, please click "Apply on-line" to move on. To go forward, you are required to log in with your email address and password. You need to create a new account on this site if you are a new user. 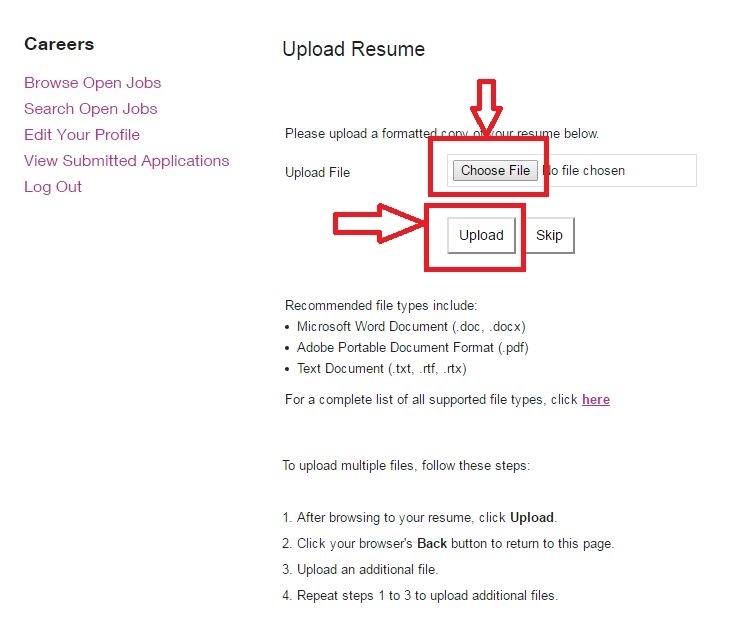 You are encouraged to choose a file on your computer and upload a resume. It's ok if you do not have one. You may just click "skip" button and finish your personal information in the following steps. 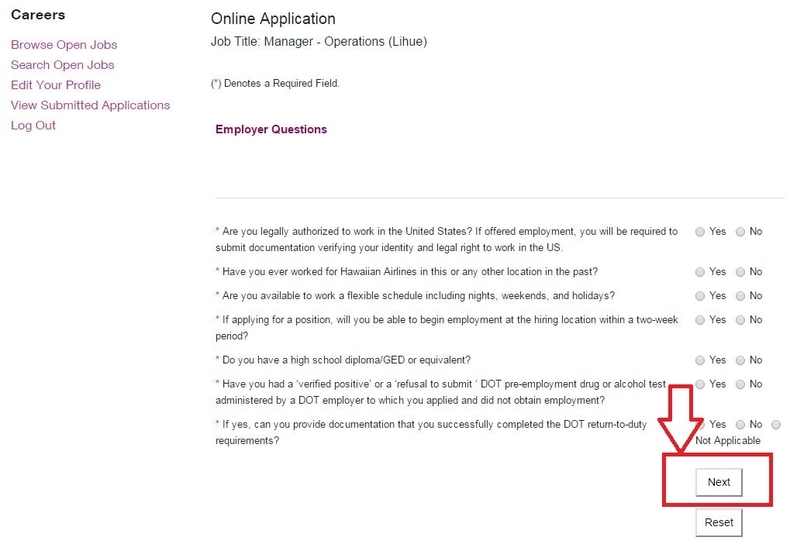 Answer some questions by simply selecting "Yes" or "No" in this step to clarify if you are legally authorized to work in this country, whether you're a former employee in this company and whether you're available to work on weekends and holidays, etc. Click "Next" when you finish the question part. 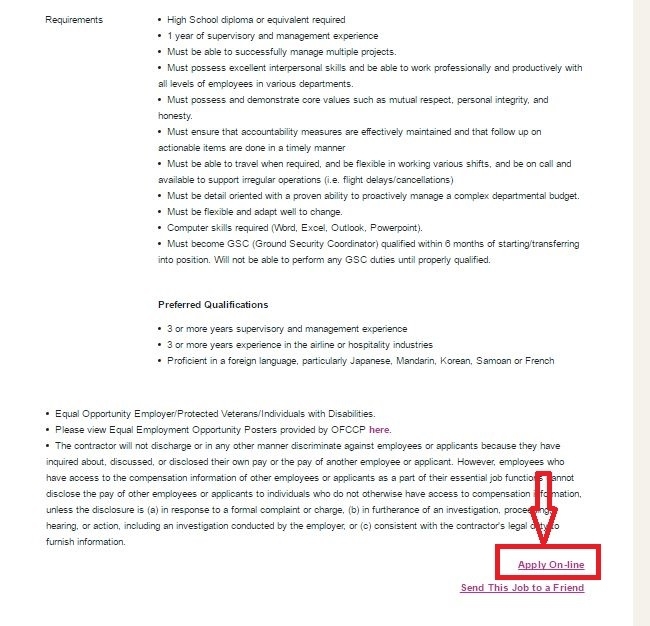 After you have read and accepted agreement, entered your full legal name and today's date, selected an answer to tell how did you hear about the position, and enter voluntary self-identification, your online application for a job at Hawaiian Airlines comes to an end. Wish you successful. Click hawaiianairlines.com/careers to apply for Hawaiian Airlines jobs online.